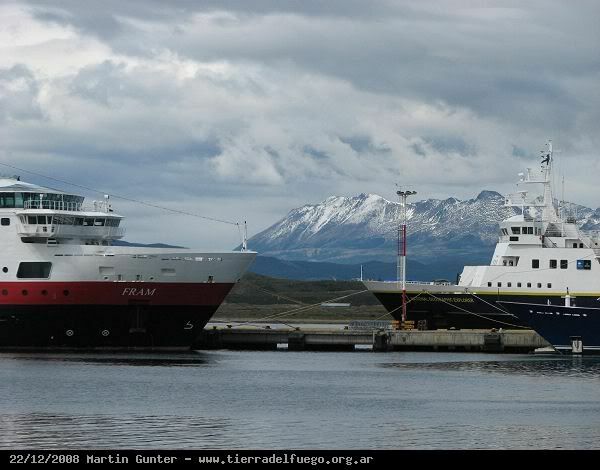 On Monday (22 December) Fram and National Geographic Explorer, ex Lyngen, were together in Ushuaia. 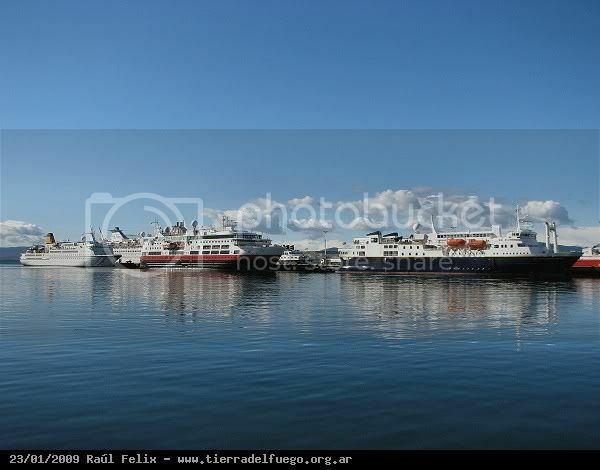 Here is a picture from the Tierra del Fuego website. The next time they are scheduled to be in Ushuaia at the same time will be when I am actually there on January 23rd ! And you did just right by posting it here.... thank you so very much for helping us build up our new home! PS: The PM will remain in outbox until it is opened by the recipient, it will then go to the sent items. 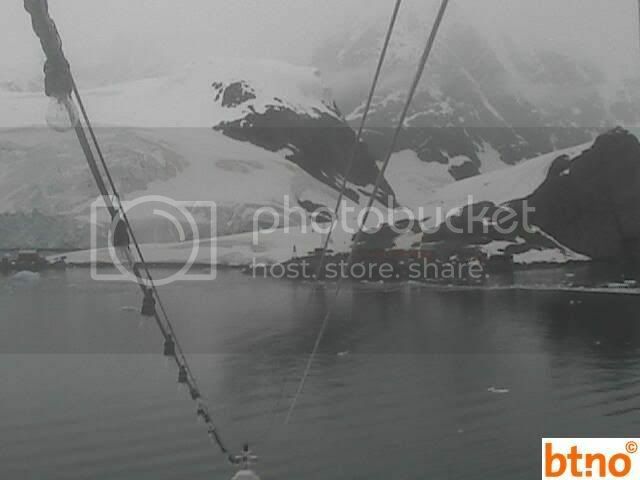 Here's a nice picture from Fram in Antarctica. I'm not sure of the exact location but it is interesting to see the hut on the shore - maybe Seagull will be able to identify the location when she goes in January? That guy must be frozen by now - he's been up there on deck since Christmas Eve. I wonder if this is the Portuguese research station in Ice Berg Alley? Great to see you here on new-forum John. 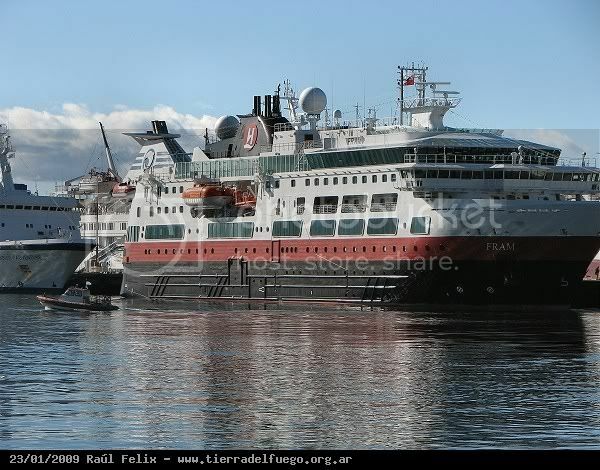 As a keen Fram-cam watcher I know you will be keeping everyone here up to date on my progress aboard Fram (leaving Ushuaia on 23 January). I didn’t recognise that location from my previous Nordnorge trip, but we were spending time in South Georgia and the Falklands as well as the peninsula. On this voyage it is the intention to cross the Antarctic circle and then continue south towards Marguerite Bay. My trip is the first time for this, so it will be Fram’s furthest south as well as mine! (hope she doesn’t immediately break that record on the second trip a week or so later!!). 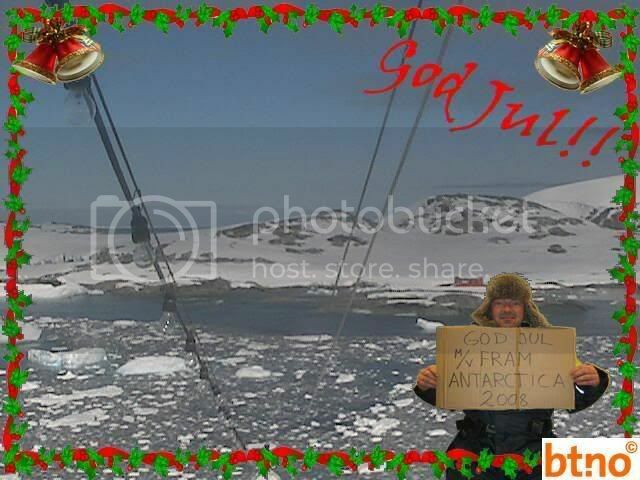 Pity there isn’t the positions with the web cam pictures like we used to have when Nordkapp was there. You will have to wait until my return to discover where and when the furthest south actually was. I am guessing that weather permitting they will want to press on southwards at the beginning, maybe after one landing in the South Shetlands to let everyone recover from the Drake, and then with “mission accomplished” across the circle, fit in more of the familiar places on the way back - but we shall see how it works out. 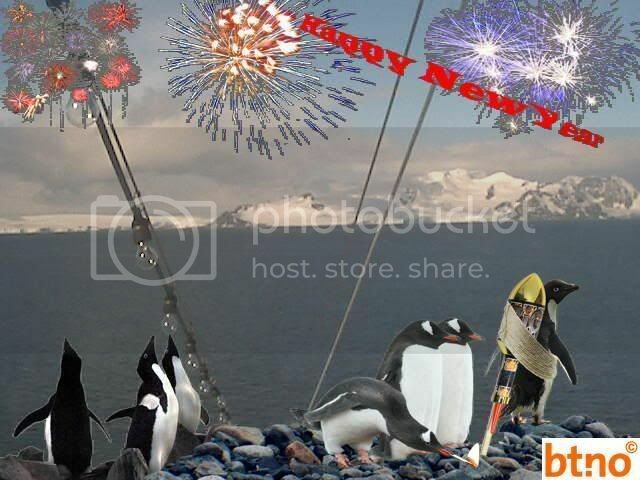 Happy New Year form MS FRAM in Antarctica. 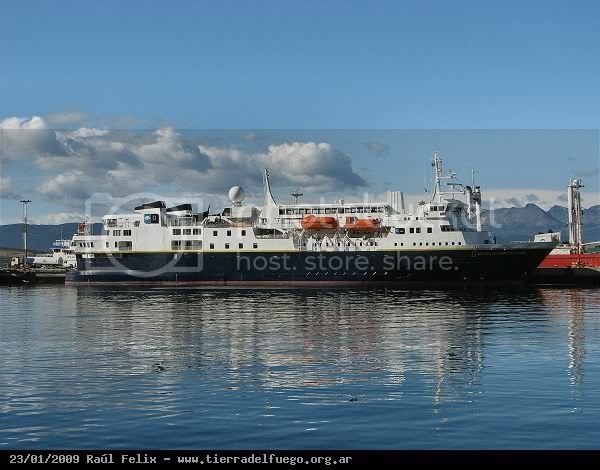 I've tried to capture some pictures of Fram in Ushuaia today. 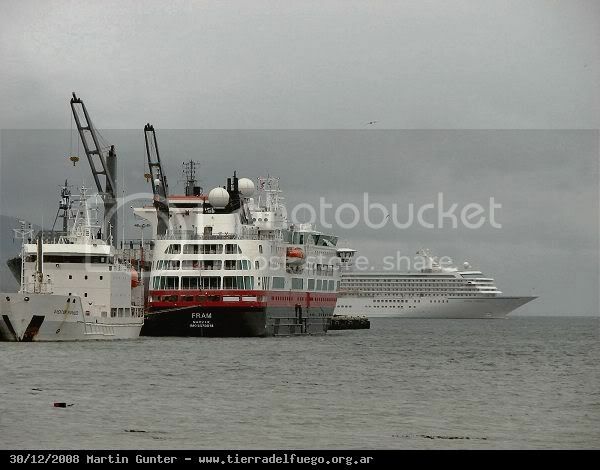 There seem to be a lot of cruise ships there today, including NG Explorer and Spirit of Adventure. I haven't spotted Seagull yet!! That Lyngen stern is still unmistakeable despite the alterations! 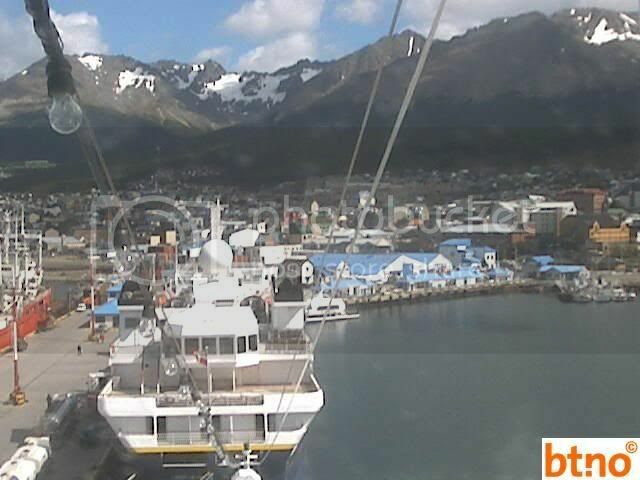 Heeeyyy - FRAM and EX-LYNGEN in one webcam-shot!!! Thanks for finding them and sharing with us, John P! 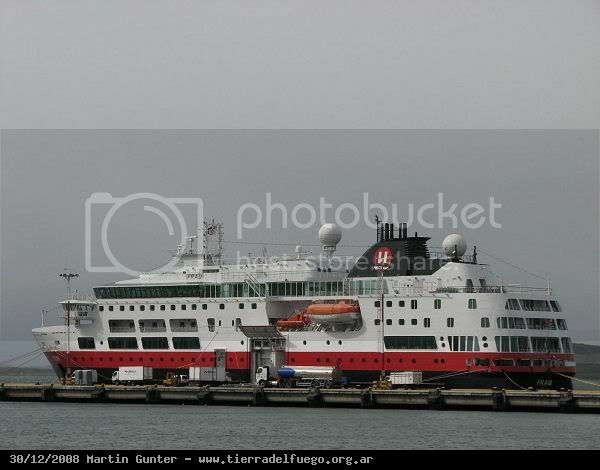 I've tried to capture some pictures of Fram in Ushuaia today. Here's a dramatic picture from Fram's webcam today. The weather is obviously very cloudy and dark. If you look closely you can see - I think - a radio aerial and a number of red huts on the shore behind Fram's flag halyard. So cool! Imagine being able to say you lived on Antartica????!! !